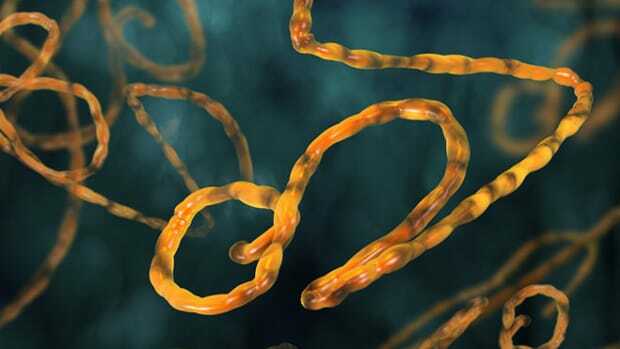 Why Aren't Previously Successful Methods Used to Stop Ebola Working Against This New Strain? As the number of known infections climbs above 1,400, many questions about the virus and how it's spreading in West Africa remain. 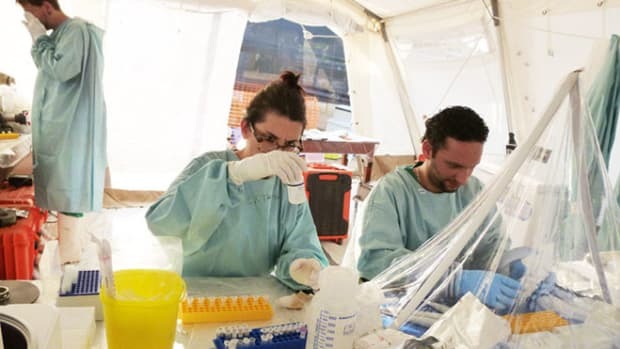 On Saturday, Rebecca Buckwalter-Poza wrote about the ongoing Ebola epidemic in three West African countries, and attempts by the World Health Organization and other health care agencies to stop it. She&apos;ll be updating that story with new information throughout the week. The good news is very good: Dr. Sanjay Gupta reports for CNN that an experimental anti-Ebola treatment derived from mouse antibodies may work. The National Institutes of Health (NIH) arranged for Kent Brantly and Nancy Writebol to receive doses while still in Liberia. Brantly improved dramatically after one dose; Writebol, after two. The "secret serum," called ZMapp, is credited with helping to stabilize the pair for transfer to the United States, according to CNN. Brantly is currently at Emory University Hospital while Writebol is expected to arrive early Tuesday. The bad news is that there&apos;s little other good news. The World Health Organization has confirmed more than 60 fatalities among health care workers. 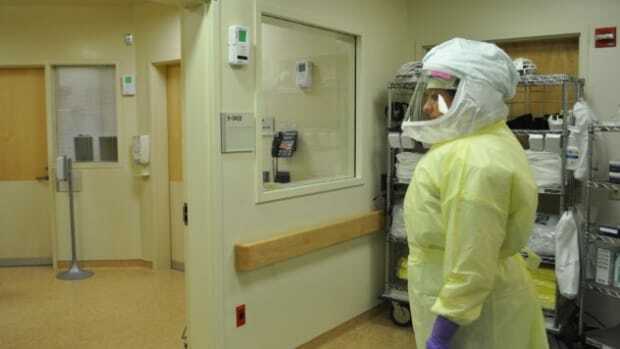 The Centers for Disease Control and Prevention (CDC) reports that the total number of known infections exceeds 1,400, as overall suspected Ebola fatalities climbs above 800. A recent false alarm at London&apos;s Gatwick Airport highlights the threat of intercontinental spread. "The management of the response in Liberia that I have been able to observe has been very disorganized and incompetent." 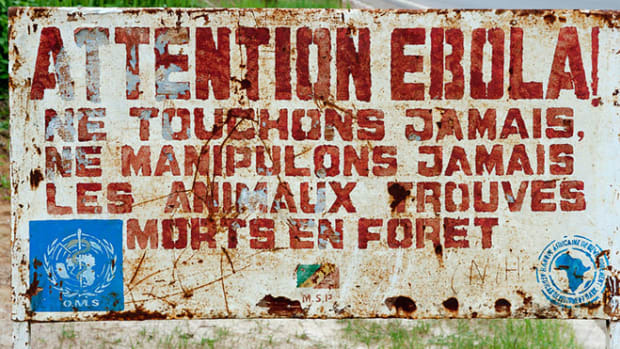 In Liberia, there was a "chance to wipe this out in April/May." Just as many open questions about the virus and how it&apos;s spreading remain. John Berestecky, a visiting professor at the University of Liberia whom a friend says has returned to the United States, followed up with me on Sunday. "I don&apos;t think this strain is any more virulent or contagious than the others," he adds in an after-thought. 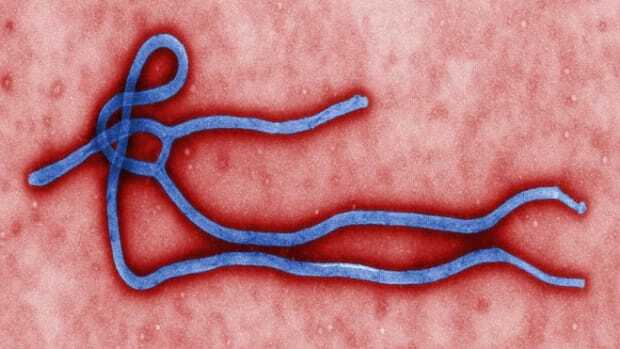 The reason for the scale of this outbreak, he suggests, lies not with the nature of this Ebola strain but human error. "The management of the response in Liberia that I have been able to observe has been very disorganized and incompetent," Berestecky says. In Liberia, there was a "chance to wipe this out in April/May." "They almost did," he writes, "but then they got lax and careless and they allowed it to resurge." But can we really argue that governmental responses were somehow more organized during prior outbreaks—especially in the two outbreaks in 1976, when Ebola was totally unknown? I asked Berestecky what it is he thinks is new about the way this virus strain could be being transmitted. (He&apos;d initially said he had "serious questions ... about the official mantra that only visibly ill patients and dead bodies are significant sources of contagion.”) He&apos;s not sure, but tells me, "if there is airborne transmission it seems it plays a very minor role." One reader tweeted at me to share a post about airborne transmission he seemed to think resolved the question. The post&apos;s author asserts that airborne transmission between pigs and monkeys has less to do with the virus than the way pigs breathe: "So, unless you’re sitting next to an Ebola-infected pig, seriously, airborne transmission of Ebola viruses isn’t a big concern." She doesn&apos;t appear to be drawing on any information specific to this outbreak. No one&apos;s saying this strain of Ebola is airborne among humans, or that it can be transmitted before patients are symptomatic. Rather, a few of us are pointing out that this strain has thwarted measures and established protocols to prevent transmission that have worked in previous outbreaks. If the assumptions about transmission guiding efforts to end the outbreak need to be adapted to this particular strain, better to revisit them now. The thing is, even the most limited incidence of airborne transmission among humans would be "a big concern." Why? More than 1,400 cases are suspected or confirmed now. Imagine that among the thousands more who have been in contact with those infected, just a few people have been exposed via aerosolized particles. Because they never touched an infected person or fluids, they aren&apos;t monitored or quarantined and don&apos;t take precautions not to pass the virus along. Making assumptions about the newest outbreak of a virus notorious for mutating may be ill-advised, WHO head Margaret Chan warned in a speech planned for delivery to the Presidents of Guinea, Liberia, and Sierra Leone, "Constant mutation and adaptation are the survival mechanisms of viruses and other microbe,” Chan said. "We must not give this virus opportunities to deliver more surprises." You’ve seen Ebola and other viral hemorrhagic fevers depicted on screens both large and small, but what health care workers are currently fighting in West Africa is worse than anything writers have dreamed up. 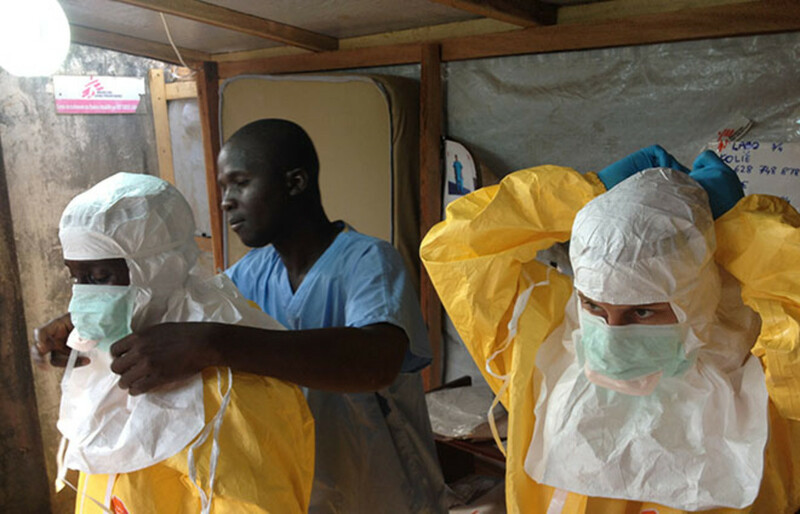 While science will certainly help, winning the battle against Ebola is a social challenge. As we look toward 2015, it’s critical that we learn from this past year’s most talked-about health scare in order to prepare ourselves for future threats. Hint: It's not because of science.